A refresh that became a renovation. 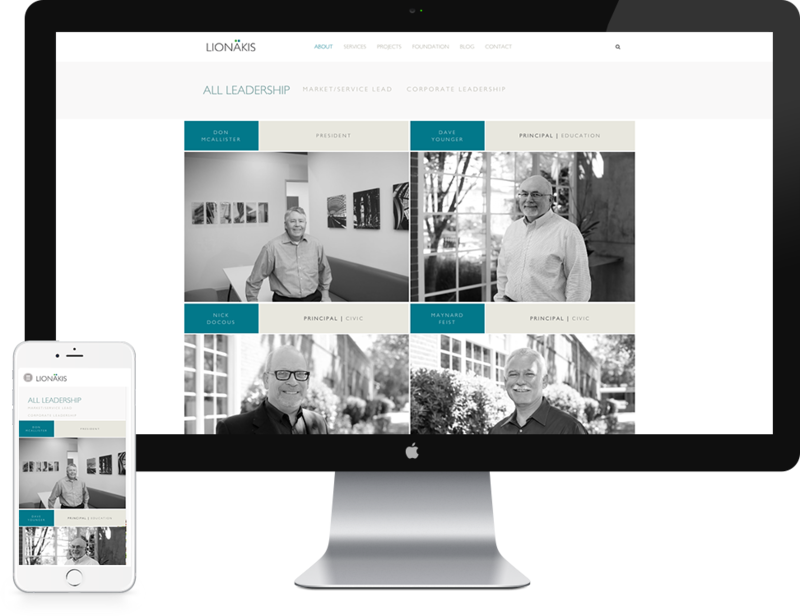 When we first approached the Lionakis project, it was with the aim of reworking a few staff pages and some other minor tweaks. 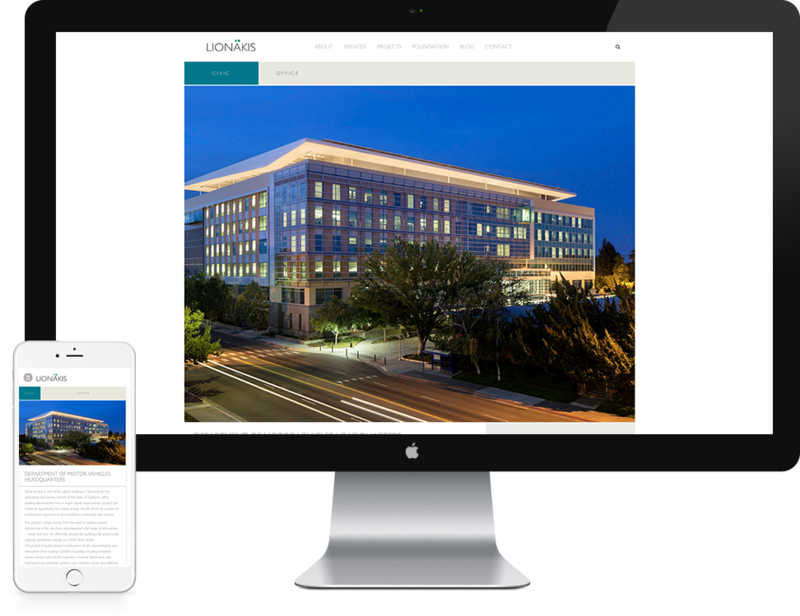 As we began designing new elements to go alongside old, we found that we could do far for them by extrapolating the newer, cleaner look sitewide and creating a fresh, sophisticated new site that would put the company’s beautiful projects front and center, and also give them a crisp-yet-fluid responsive component for different devices. 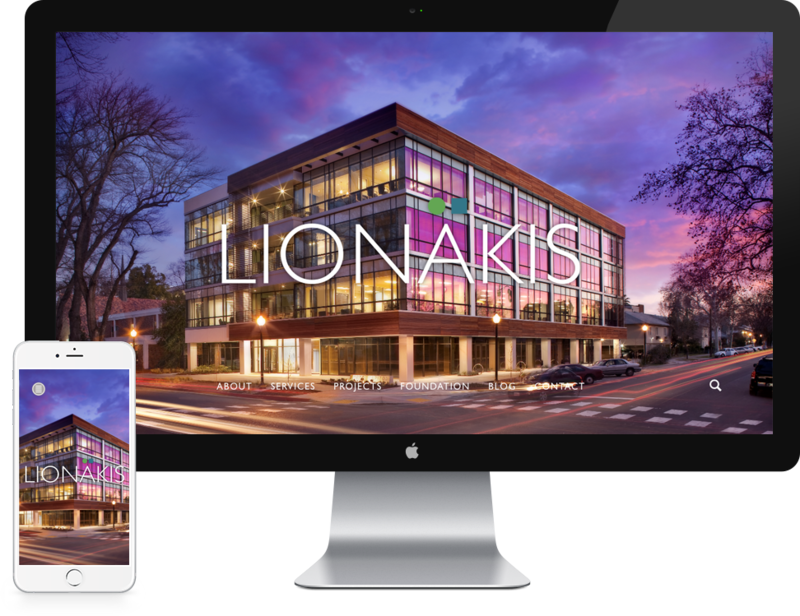 In meeting with Lionakis’ staff we discovered that we needed to serve two main users: clearly we’d need to show off their portfolio of projects to an audience interested in seeing a shiny new multi-story tower. We’d also need to set a tone for the kind of talent they wanted to attract: youthful, engaged, design-focused, and sophisticated. 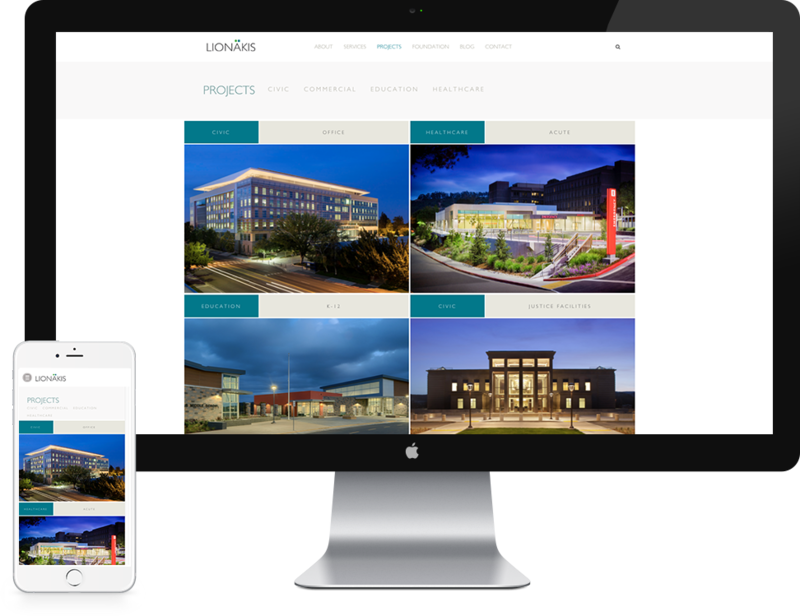 Thus our approach would be minimal: we took our cue from the buildings themselves, the design then became focused on line and pane. 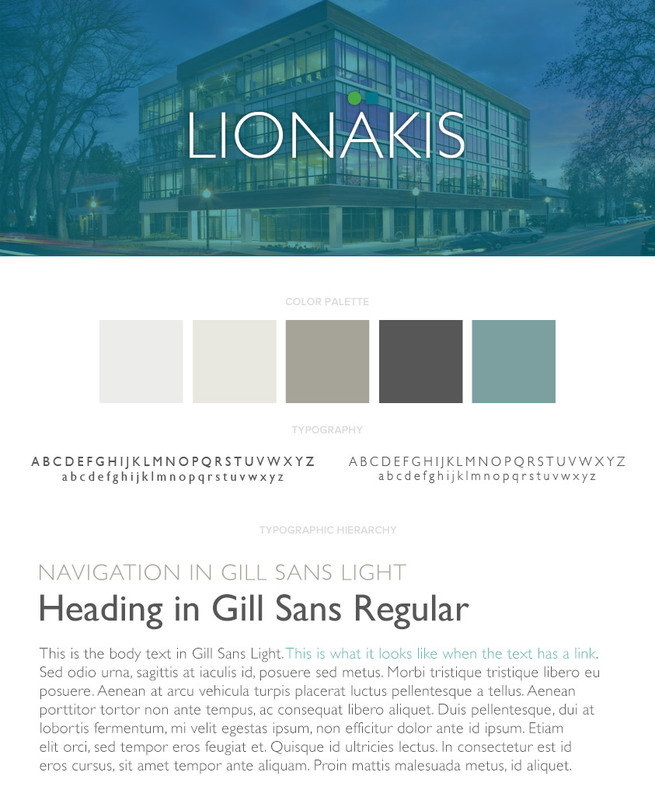 Transparent panes of color overlays trigger hover states, revealing tastefully set and spaced blocks of type. 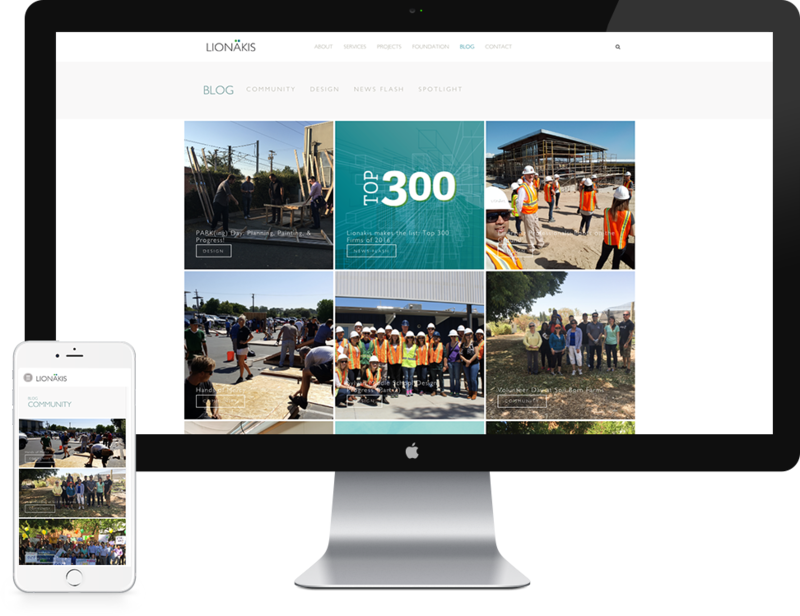 We used interaction to convey meaning and mirror the textures and composition of the buildings themselves. 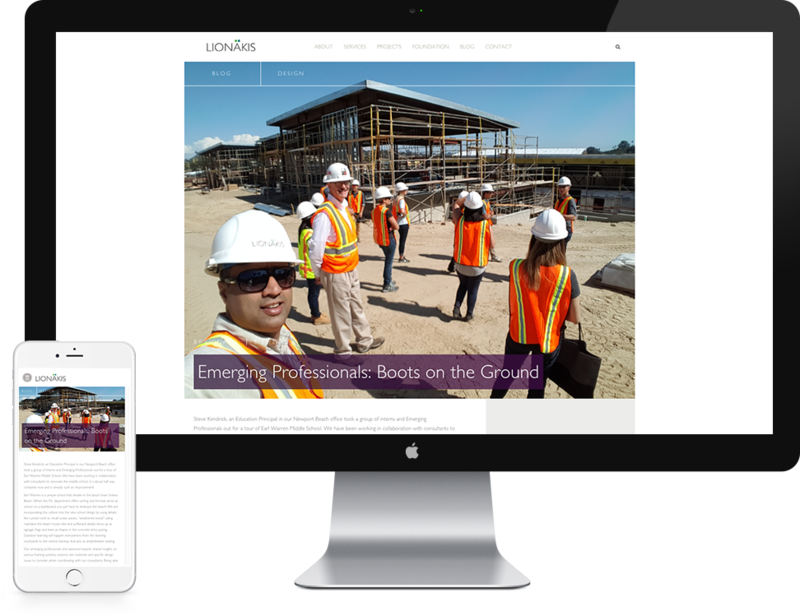 A sleek, responsive site that works everywhere. Flawlessly. 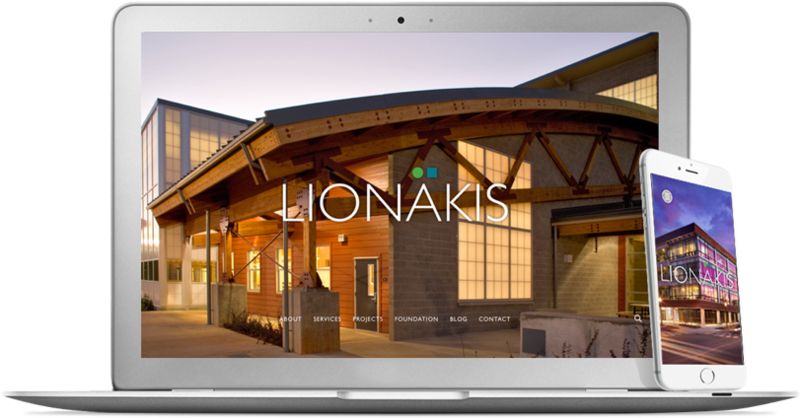 We were able to deliver Lionakis a site that not only better reflects their brand attributes and attitudes, but also works seamlessly and consistently across different devices.